Tiffany style lamps have become famous over the years. 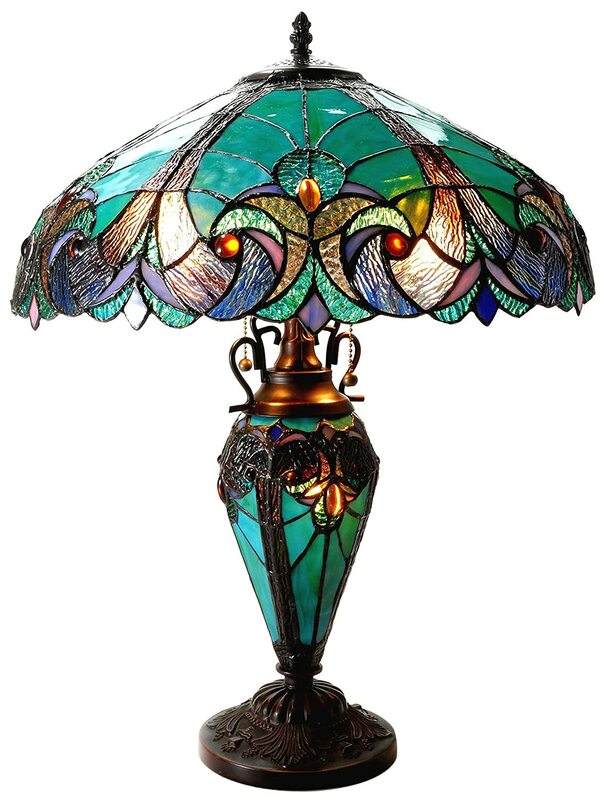 These are types of lamps that are composed of a beautifully stained glass lamp with window panels. The lamps look identical to each other and are manufactured by hand by skilled personnel. They were first manufactured around 1895. Tiffany style lamp is an inspiration and design by Louis Comfort Tiffany and his design studio. It got the name from the designer. a) Floral Style lamps- the stained glass is composed of standard geometric design with some floral, leaf motifs and vine. b) Cone shaped style- as the name suggests, this is a kind of Tiffany lamp that is designed like a cone. It has circular rims on its sides. c) Globe shaped styles- just as the name suggests, this type of lamp is dome shaped crafted with a beautiful flower pattern. They vary in sizes from twelve inches to twenty eight inches in their diameter. d) Irregular lower border lamps- The lower border of the lamp is curved with rims. f) Geometric style lamps- They became popular during the art decor period. As in Mathematics, this lamps are geometrical in that they have a certain congruent pattern that keeps repeating itself throughout the colored glass. g) Favrile style lamps-the lamps imply the type of material used in craft. They refer to the art crafted stained glass material. 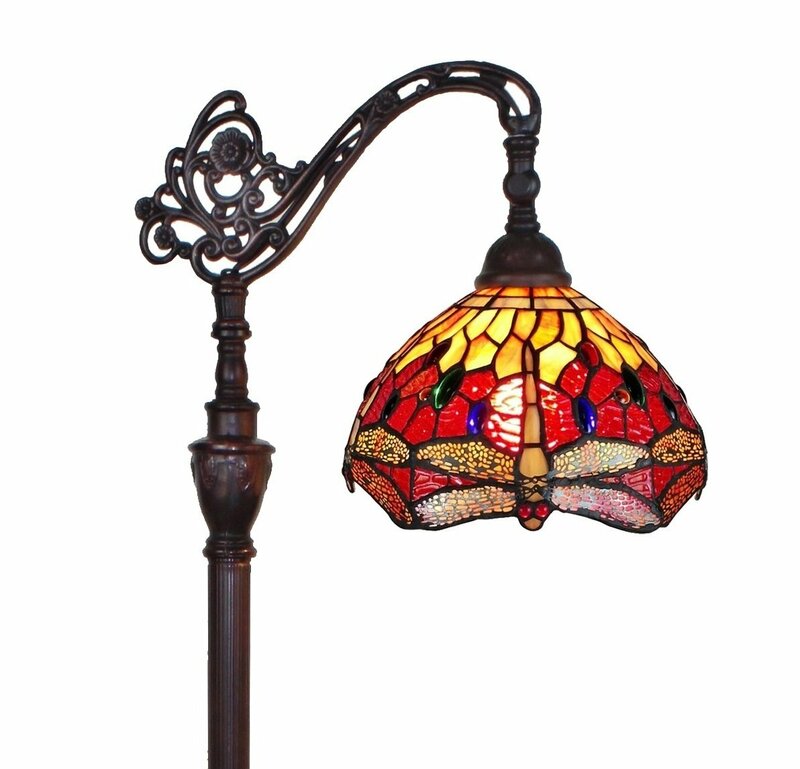 Tiffany lamps have been used in different ways this are;-ceiling lights,wall lights, table lamps and floor lamps . Below is a brief description. 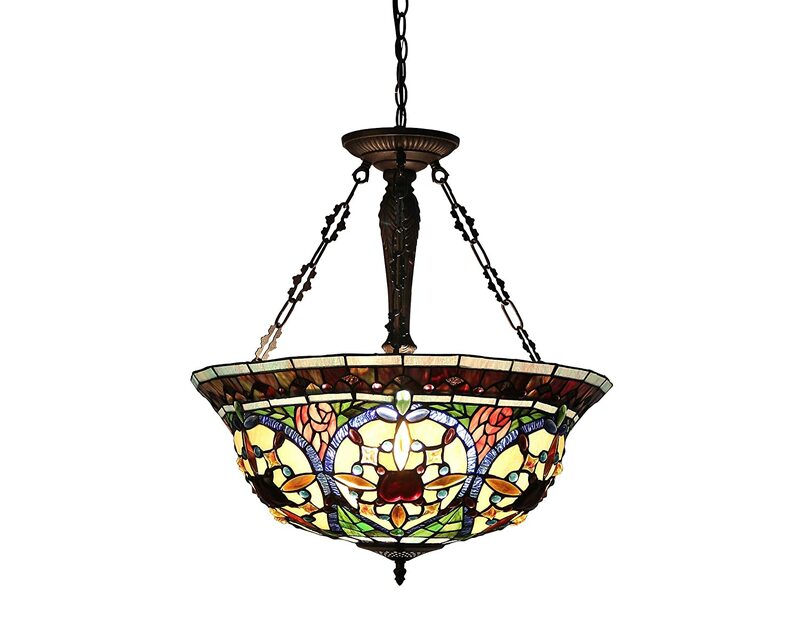 Ceiling lights – these type of Tiffany lamps are usually hanged from the ceiling using a chain or a rod specifically designed for that. They either face upwards or downwards illuminating the light thus creating an enticing ambience. Wall Lamps – These types of Tiffany lights are mounted on the wall and can blend in any room. They are so beautiful when switched on as they reflect light from the wall to the ceiling. Table Lamps – Tiffany table lamps are decorative and can be used for reading when placed at a raised surface. RECOMMENDATIONS FOR TIFFANY STYLE LAMPS. 1. Chloe lighting model no. CH18780VG18-DT3 – It is a table lamp which casts an eighteen inch shade when lit. it has trinity bulbs. It has been crafted with 264 glass pieces making it beautiful. In addition, it has a copper coated glass complemented with a resin base that provides a rigid base. It goes for $149.15 on Amazon. 2. Amora lighting model no. AM079FL10-This is a type of reading floor lamp It has an adjustable shade thus providing room for brightness modification in a reading environment. It has a height of sixty two inches thus the reading desk must be of suitable height to prevent straining. it has a dragon fly shape which may provide decor to the room. This product costs $137.99 on Amazon. 3. Chloe lighting model no. CH33391VG22-UH3- This model of Tiffany style lamps looks exactly like a chandelier. It forms a twenty two inch shade while displaying a multicolored illumination. It boasts of having 768 pieces of glass embedded within its make. It has an inverted cone which makes light shine on the ceiling reflecting back some soft light to the room. It costs $216.39 on Amazon. To finalize, we admit that Tiffany style lamps are of great standard and choosing of the type of lamps comes after contemplation of the purpose you want it to serve.